Restaurant Review: Vivace Restaurant in Tucson. Image: Crab filled breaded chicken breast with cream sauce and vegetable rice. Vivace is listed as one of the 5 Best Tucson Restaurants of 2010 in Tucson Lifestyle Magazine. 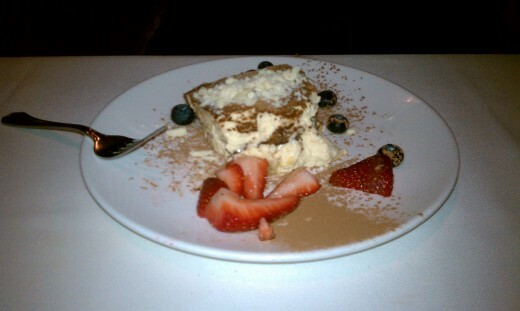 We visited Vivace Tucson on a Friday evening, with 7 PM reservations. Overall, the meal and experience was lovely and I would recommend it highly to anyone looking to find an excellent meal in Tucson with attentive and experienced staff, and a great atmosphere. The location of the restaurant is very chic. It's located at the corner of River and Campbell, in a plaza that has other restaurants, parking, and a lot of greenery. We were seated inside at a two-top right next to a window that overlooked the patio eating area, although we were offered a seat outside by the fountain. Both inside and outside eating areas are nice, although outside is a bit more serene. The tables are situated just a little too close to each other, so I wouldn't say that it's great for a very private meal. Additionally, it's very open, so there aren't any corner tables for you to request if that is your thing. The service was excellent. By far the best we have experienced in Tucson so far. Our waiter was incredibly professional, obviously well-experienced, and neither hounded us nor left us alone for too long. At one point, I was almost hit in the head by a very hyperactive waiter (not ours) but other than that, from the hostess who greeted us, to our waiter and runners, the service was top-notch. The food was presented quickly, and bread and butter with basil/garlic dipping sauce was already waiting for us by the time we were seated along with tall glasses of fresh water. Prices range from around $15 for a pasta dish to $32 for filet mignon, with the specials being somewhere around that price. 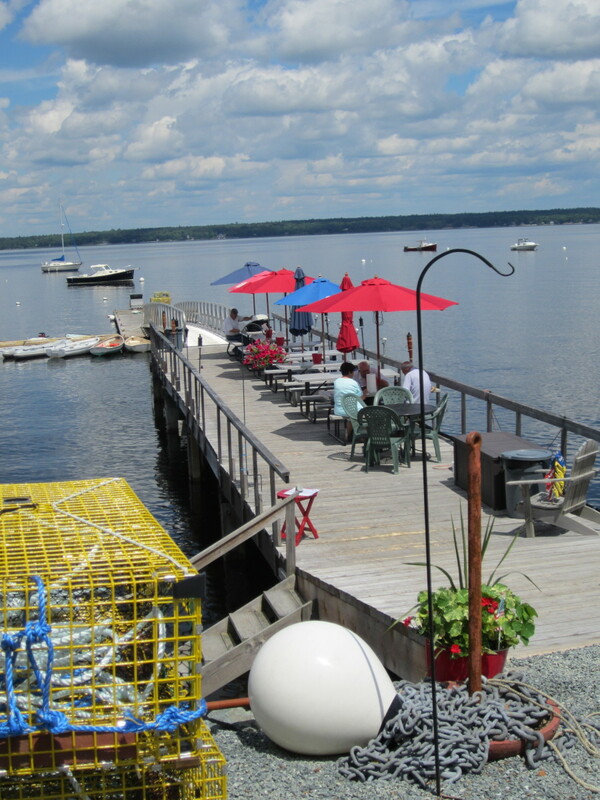 It was appropriately priced for both the taste and presentation of the food as well as the service and atmosphere. The presentation of the food was acceptable, although I can see that people might expect the plates to be just a little cleaner. No matter, though, because the food itself was very good overall. We ordered a stuffed mushroom starter, because it was rumored to be the best. The stuffed mushrooms contain mushrooms, shallots, breadcrumbs and Parmigiano cheese, but they are served with a lemon wedge. My advice is not to squeeze the lemon juice onto the mushrooms because it is so overpowering. The flavor of the mushroom dish was not intense; in fact, it was just a bit lacking. The mushrooms were very wet at the bottom, and crispy on top. Had the mushrooms been stuffed with crab meat, the lemon would have been appropriate but in this case it was just too much. For entrees, we ordered the classic manicotti and the crab stuffed breaded chicken breast. 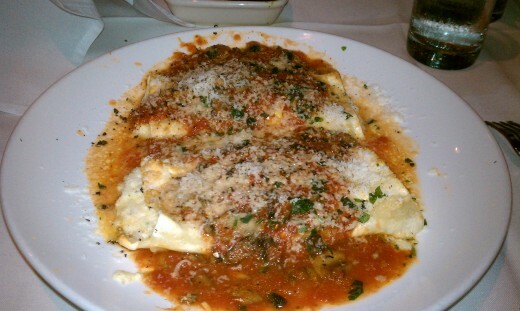 The manicotti was delicious, in paper thin fresh pasta and large portions of ricotta and Romano cheese. The only issue was that the dish was far too salty. We suspected the Romano cheese was the culprit. 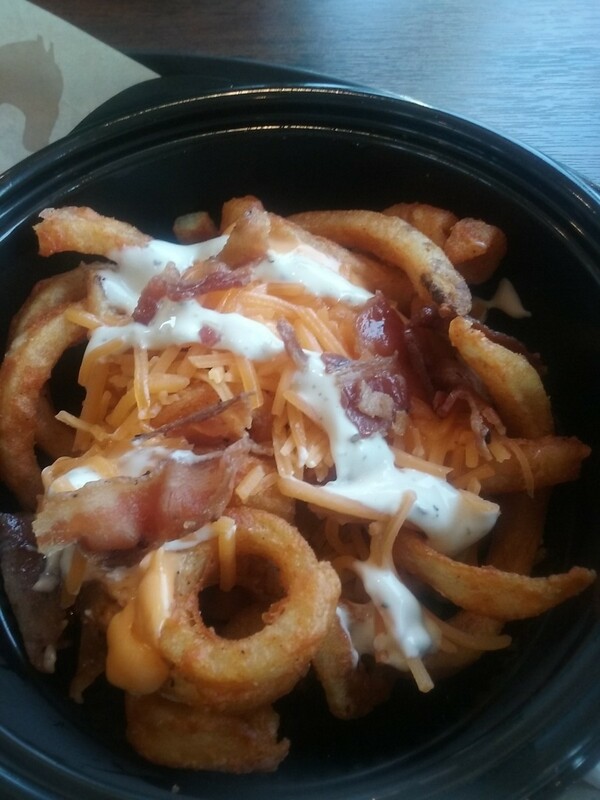 At one point it was too salty to finish. But had we not had the extra cheese grated on top, it might not have been so salty. 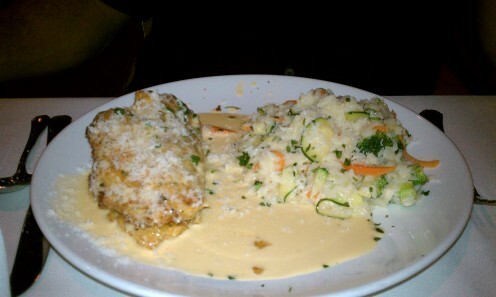 The crab stuffed breaded chicken breast, on the other hand, was perfect. Served with a delicious, large helping of rice with sautéed vegetables, the chicken held its own and was succulent and perfectly seasoned. The crab was tender and sweet and complimented the chicken very nicely. For dessert, we had the Tiramisu and the Creme Brulee. Both were served with a side of fresh blueberries and strawberries. 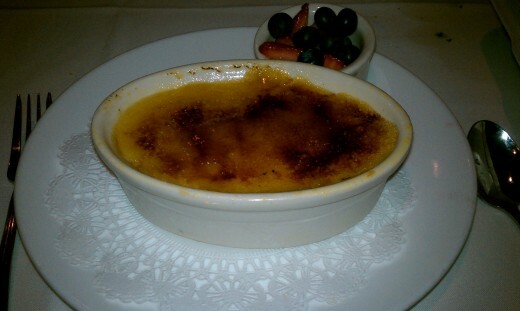 Both tasted as expected, with the exception being that the creme brulee's glazed brown sugar topping didn't glaze all the way through; there was a section in the middle that had big chunks of brown sugar un-melted. Other than that, it was delicious and the custard was perfect. We did not have the wine, but Vivace has an extensive wine selection that can be viewed online.